Nothing feels better than a clean house and a room in perfect order. My wife made it clear yesterday that we were going to clean. “The place is filthy!” she announced with conviction. I agreed. That’s my job. My job is to agree. I learned this years ago and life has been better ever since. And so, without questioning the course of our Saturday, we cleaned. She tackled the living room and kitchen and hall. 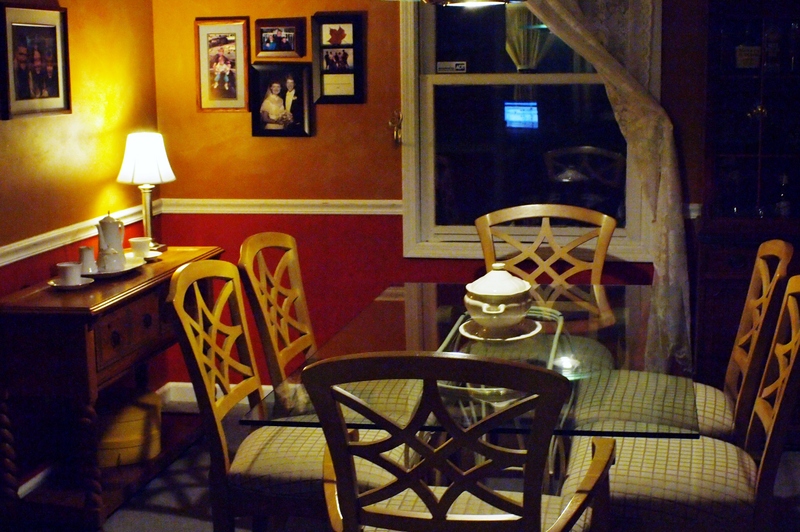 I tackled the dining room and family room. Together, we made a big dent in the dirt situation. I emptied the china cabinet and dusted each piece. I Windexed the top and bottom of the glass dining room table. I swept the floor. I dusted the woodwork. I rearranged the side board. I was very proud. Anita did her thing and if I’m to be honest, was a LOT more detailed than my own cleaning effort. She destroyed the room. I mean carpets-rolled-up, furniture-shoved-into-corners, couches-over-turned destroyed. And yet, somehow by the end of the day, it was all put back together and beautifully clean and sparkling. In the end we made a huge dent in the dust bunnies that had started to bread under the furniture. In the end we could say with confidence that we were not longer filthy. Tired…but not filthy.